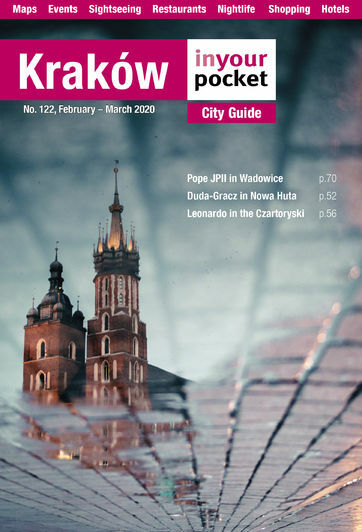 Małopolska – the region of Poland in which Kraków finds itself – is something of a tourist gold mine, and diligent tourists find themselves faced with the prospect of attempting to see no less than thirteen sites that have made it onto the esteemed UNESCO World Heritage List. Many - like Auschwitz and Wieliczka - won’t require an introduction, however what you may not realise is that Małopolska was once famous for its monuments of wooden architecture. In the surrounding 'voivodeship' (as Polish administrative districts are known) there are some 237 sites of wooden architecture and no less than eight have made it onto UNESCO's ‘must see’ list: the Church of St. Michael the Archangel in Dębno, the Church of St. Michael the Archangel in Binarowa, the Church of St. Leonard in Lipnica Muranowa, the Church of St. Phillip & St. Jacob in Sękowa, the Greek Catholic Church of St. Jacob the Younger in Powroźnik, the Greek Catholic Church of St. Paraskevi in Kwiatoń, the Greek Catholic Church of the Protection of the Mother of God in Owczary, and the Greek Catholic Church of St. Michael the Archangel in Brunary Wyżne. While those fabled eight are perhaps the most exemplary and culturally valuable of Małopolska's wooden sacral architecture, as you may have guessed they also aren’t the easiest to incorporate on a flying visit from Kraków, and the Wooden Architecture trail most certainly favours drivers with a good map and a fearless attitude regarding the roads of Poland. Those with less time, or simply looking for an easier way to admire some local wooden architecture can view examples of the ancient craft within Kraków’s own city limits by paying a visit to St. Margaret’s Chapel in the Salwator district, or head to Nowa Huta to find the Church of St. John the Baptist, as well as Mogiła's Church of St. Bartholomew. All three pre-date the 18th century (St. Bartholomew's actually dates back to the 15th century) and are not only excellent examples of the region's timber architecture, but also rewarding and delightfully offbeat destinations all too often ignored.